Prescription opioids are medications that are chemically similar to endorphins – opioids that our body makes naturally to relieve pain – and also similar to the illegal drug heroin. In nature, opioids are found in the seed pod of the opium poppy plant. Opioid medications can be natural (made from the plant), semi-synthetic (modified in a lab from the plant), and fully synthetic (completely made by people). Prescription opioids usually come in pill form and are given to treat severe pain—for example, pain from dental surgery, serious sports injuries, or cancer. Opioids are also commonly prescribed to treat other kinds of pain that lasts a long time (chronic pain), but it is unclear if they are effective for long term pain. For most people, when opioids are taken as prescribed by a medical professional for a short time, they are relatively safe and can reduce pain effectively. However, dependence and addiction are still potential risks when taking prescription opioids. Dependence means you feel withdrawal symptoms when not taking the drug. Continued use can can lead to addiction, where you continue to use despite negative consequences. These risks increase when these medications are misused. Prescription medications are some of the most commonly misused drugs by teens, after tobacco, alcohol, and marijuana. Common opioids and their medical uses are listed below. Fentanyl has been in the news recently. It is a powerful opioid prescribed for extreme pain that is 50 to 100 times more potent than morphine. It is extremely dangerous if misused, and is sometimes added to illicit drugs sold by drug dealers. Find out more about Fentanyl. What happens to your brain when you use prescription opioids? Opioids attach to specific proteins, called opioid receptors, on nerve cells in the brain, spinal cord, gut, and other organs. When these drugs attach to their receptors, they block pain messages sent from the body through the spinal cord to the brain. They can also reduce or stop other essential functions like breathing. Opioid receptors are also located in the brain’s reward center, where they cause a large release of the neurotransmitter dopamine. This causes a strong feeling of relaxation and euphoria (extreme good feelings). Repeated surges of dopamine in the reward center from drug-taking can lead to addiction. Learn more about how the brain works and what happens when a person misuses drugs. And, check out how the brain responds to natural rewards and to drugs. What happens to your body when you use prescription opioids? Can you overdose or die if you use prescription opioids? Yes, you can overdose and die from prescription opioid misuse. In fact, taking just one large dose could cause the body to stop breathing. Deaths from overdoses of prescription drugs have been increasing since the early 1990s, largely due to the increase in misuse of prescription opioid pain relievers. More than 17,000 people died from an overdose of a prescription pain medication in 2017. The risk of overdose and death increases if you combine opioids with alcohol or other medications that also slow breathing, such as benzodiazepines (e.g. Xanax). Among all age groups, males are more likely to overdose from prescription pain medicines than are females.1 Learn more about drug overdoses in youth. > National Overdose Deaths Involving Prescription Opioids—Number Among All Ages, 1999-2017. The figure above is a bar and line graph showing the total number of U.S. overdose deaths involving prescriptions opioids (including methadone) from 1999 to 2017. Drug overdose deaths involving prescription opioids rose from 3,442 in 1999 to 17,029 in 2017. Since 2016, however, the number of deaths have remained stable. The bars are overlaid by lines showing the number of deaths involving prescription opioids in combination with other synthetic narcotics (mainly fentanyl) and without other synthetic narcotics from 1999 to 2017. The number of deaths involving prescription opioids in combination with synthetic narcotics has been increasing steadily since 2014 and shows that the increase in deaths involving prescription opioids is driven by the use of fentanyl (Source: CDC WONDER). The risk of overdose and death increase if you combine opioids with alcohol or other medications that also slow breathing, such as Benzodiazepines (e.g. Xanax). People who are showing symptoms of overdose need urgent medical help (call 911 immediately). A drug called naloxone can be given to reverse the effects of an opioid overdose and prevent death—but only if it is given in time. Naloxone is available as an easy-to-use nasal spray or autoinjector. It is often carried by emergency first responders, including police officers and emergency medical services. In some states, doctors can now prescribe naloxone in advance to people who use prescription opioids or to their family members, so that in the event of an overdose, it can be given right away without waiting for emergency personnel (who may not arrive in time). Read more about how Naloxone Saves Lives. 1 Centers for Disease Control and Prevention, National Center for Health Statistics. Underlying Cause of Death 1999-2017 on CDC WONDER Online Database, released 2018. Available at http://wonder.cdc.gov. What about prescription opioids and heroin use? 2 Compton WM, Jones, CM, Baldwin GT. Relationship between nonmedical prescription-opioid use and heroin use. England Journal of Medicine, 2016, 374:154-163. Yes, prescription opioids can be addictive. People who misuse prescription opioids are at greater risk of becoming addicted to opioids than people who take them as prescribed by a doctor. Carefully following the doctor’s instructions for taking a medication can make it less likely that someone will develop dependence or addiction, because the medication is prescribed in amounts and forms that are considered appropriate for that person. Doctors should always weigh the risks of opioid dependence and addiction against the benefits of the medication, and patients should communicate any issues or concerns to their doctor as soon as they arise. The earlier a problem is identified, the better the chances are for long term recovery. How many teens use prescription opioids? Below is a chart showing the percentage of teens who misuse prescription opioid pain medicines. 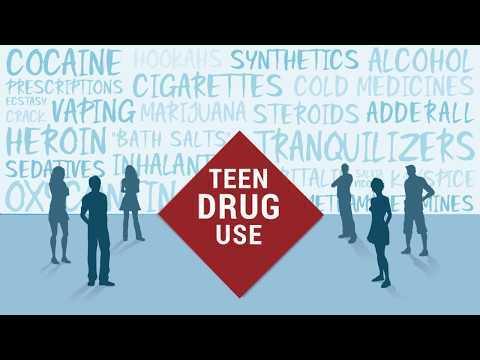 Learn more about prescription drug misuse among young adults. Naloxone saves lives. 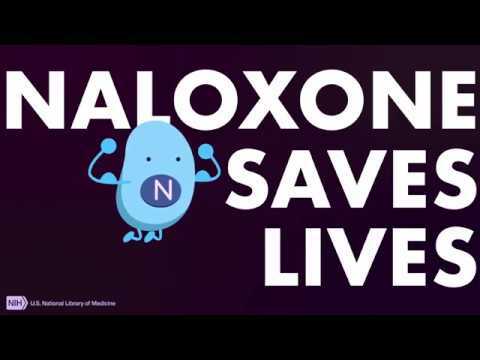 This video reviews when naloxone is used, how it is administered, and the way it works. Monitoring the Future (MTF) is an annual survey of 8th, 10th, and 12th graders measuring drug, alcohol, and cigarette use. 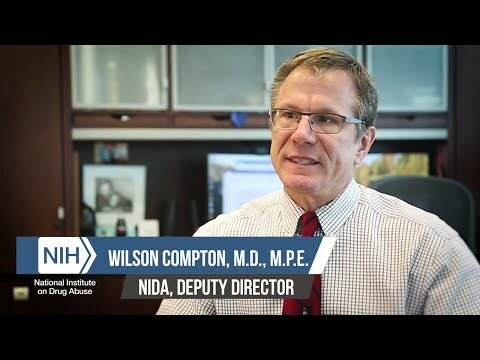 NIDA's researcher discusses fentanyl overdose deaths in the U.S. Monitoring the Future (MTF) is an annual survey of 8th, 10th, and 12th graders. You tell a friend about the stress you're feeling after Mario asked you out, and she gives you some pills that a doctor prescribed for her boyfriend. Since a doctor prescribed them, they should be fine, right? You have a bad reaction and the school nurse calls an ambulance. 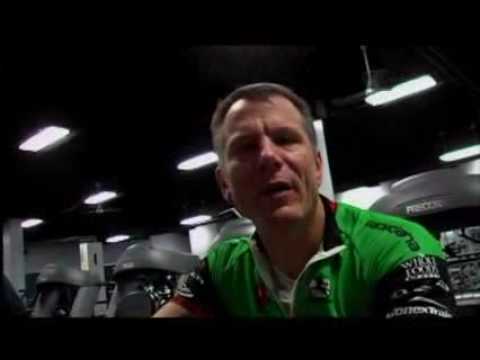 Information on Prescription Drug Video NIDA: How many pain meds should you take? Addiction, compulsive drug use, and prescription drug abuse are explored in detail. NIDA Painkillers: Get Back in the Game---Use Painkillers Safely. NIDA scientists play softball with young friends and talk about the safe use of prescription painkillers. The annual survey measures teen drug, alcohol, and tobacco use and attitudes. Provides an overview of commonly abused over-the-counter (OTC) medications and prescription drugs—opioids, central nervous system depressants, and stimulants—and explains effects on the brain and reported use. 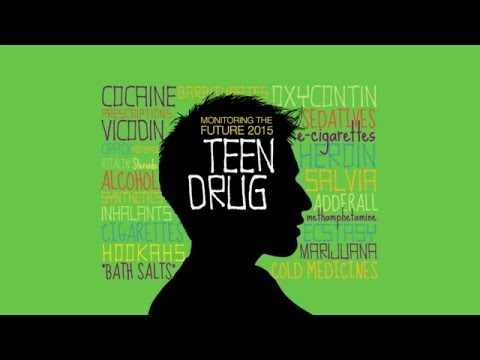 Provides facts for teens about opioids, including prescription pain medicines and heroin. What substance in drugs affect our brains? Hi PPham - you are correct. Not all drugs come in a pure form. For medications, companies have to package them and make sure that your body can absorb them, so fillers and casings are not the substances that affect your brain. The specific substances in medications that act on your brain and other tissues in your body depends on what health condition you have. For example, opioid medications can treat cancer pain and it is the opioid itself that affects your brain and other body tissues. Hello rbartlett! Thanks for your question! You are really well-informed! Narcan is the tradename for a chemical called naloxone. Naloxone is used when someone has taken too high a dose of an opioid drug and is in critical danger of possibly dying. Naloxone helps reverse the effects of the opioid drug. A person who receives Narcan should be transported to medical care immediately to ensure that they are truly out of danger. Use of opioids during pregnancy can result in a drug withdrawal syndrome in newborns called neonatal abstinence syndrome or neonatal opioid withdrawal syndrome (NAS/NOWS). The 2017 Monitoring the Future College Students and Young Adults survey shows trends in the use of marijuana, alcohol, nicotine, and synthetic drugs in college students and non-college peers. This infographic summarizes a study that finds that nearly half of opioid-related overdose deaths involve fentanyl. Lessons and classroom activities on prescription pain medicine misuse use and its effects. Illustrated booklet explaining how drugs affect the brain and body. The National Institute on Drug Abuse Blog Team. "Prescription Pain Medications (Opioids)." Drugs & Health Blog, , National Institute on Drug Abuse, https://teens.drugabuse.gov/drug-facts/prescription-pain-medications-opioids.